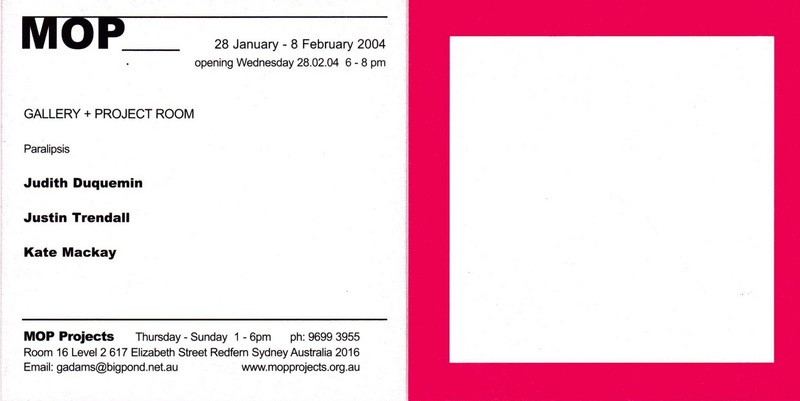 'Paralipsis' was curated by Judith Duquemin at MOP Projects when it was in Elizabeth St, Redfern. 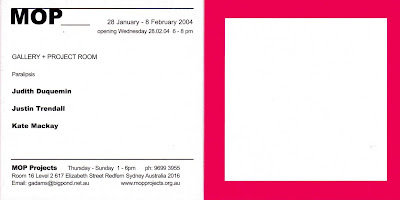 It involved works by myself, Judith Duquemin and Justin Trendall. 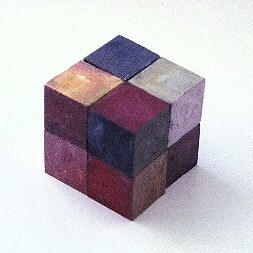 It was in this exhibition that I started to really use squares and cubes. 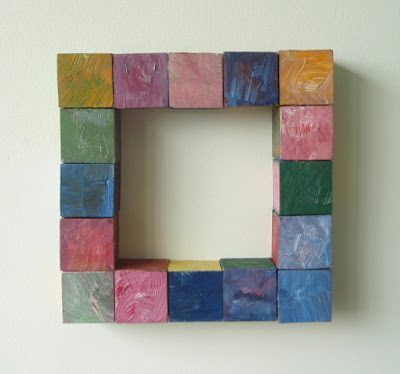 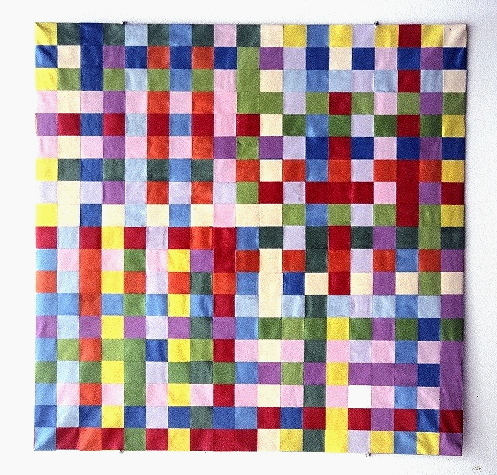 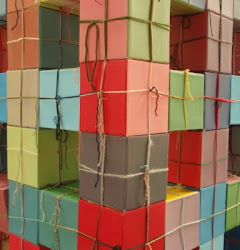 Some works were constructed by weaving coloured strips of paper over cardboard to create either 2 dimensional or 3 dimensional works, while other works were constructed of small cubes of MDF which were painted and then glued together.